Ensk, a suburban town from Russian classical literature, inhabited by fictitious heroes such as Sanya Grigoryev and Ostap Bender, first appeared in World of Tanks in April 2010. The industrial area neighbours the suburban area and a large railway junction. The railway station forecourt features many small peculiarities of the epoch: a loudspeaker, a bicycle placed against a post clock and an old propaganda poster, hanging on a bulletin board. If you're familiar with the works of authors such as Gogol or Dostoevsky, the next time you drive through the cozy streets of Ensk, take a closer look at the houses that your enemies use as cover and maybe you will recognise some places from their stories. You can open the slider image by hovering the twinkling indicators on the map. To compare images, leave the cursor pointed at the slider - use mouse to shift the vertical bar in the centre of an image to the right and to the left. Each place of interest is followed by a brief description and exact coordinates. One of the old urban World of Tanks maps—small Soviet Ensk—appeared after Himmelsdorf, the fictitious West European town. Both the name and the content of the map were supposed to be generalised, just like on Himmelsdorf. The level Artists tried to avoid direct associations with real places on the world map. 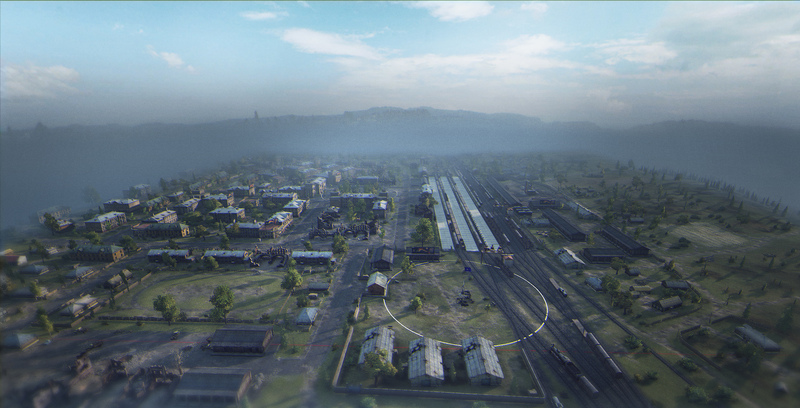 At the same time, Ensk was supposed to feature many inconspicuous details, which gave players the impression that they are in a small Soviet town. Therefore, many elements appeared on the map: a cozy quarters with low houses, suburban wooden huts, the railway station forecourt, and many nostalgic symbols, as well as smaller details such as old linen hanging on ropes, iron slides, creaky swings, news stalls, pigeon houses, and even booths of traffic policemen all adding to the ambience. It is an interesting fact that Ensk does not end with the area available to vehicles. 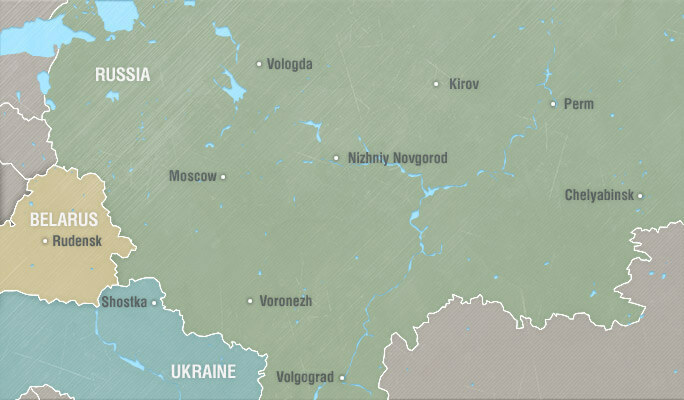 In the fog, the map is continued by a neat block of wooden houses that were created under the influence of peculiar huts in the Sormovsky district of Nizhny Novgorod. The full list of geographical references is quite impressive: Odessa, Mytishchi, Podolsk, Bishkek... However, the main thing is that any post-Soviet town or city has its own Tractorozavodsky district or set of unique houses in the Socialist Classicism style. What resemblance comes to your mind? Stay tuned for more tours of World of Tanks maps, coming soon!